Force Index trendline indicator with MTF ability and alert functions, which draws all trendlines automatically in the Force Index indicator window. The multi timeframe ability allows you to watch other timeframe's indicator values, without switching between the timeframes. The alert functions work with all trendlines and horizontal lines in the Force Index trendline window, not only TrueTL's. For example, you can use it for alert when your favorite level is break. Version: the indicator's actual version number. If update is released, you can simply overwrite the files with our self-extractor or you can do it from the zip file manually (installation steps). Username: enter your username that you received after purchase. Auto save so if once entered after not necessary (about our ex4 protection). Force Period: you can set the period of Force Index. Force Price: you can set the Force Index indicator's price. Force Method: you can set the price method..
Force Timeframe: you can set the indicator's timeframe. Triangle Mode: in this mode the indicator analyses every movements but draws only the two nearest trendlines: upper and lower. Cut TL Ending: cut the trendline’s ending when it's broken. Lines To Background: you can move the TrueTL's lines to the background. Multiple instances: you can attach two or more instances of the same indicators on one chart. If you would like to use the indicator with old-style object names (if you developed an EA or another reason) you can disable this function. User Notification Corner: set the corner on the chart to show the user notification such as if your subscription expire soon, or a new update is released. Alert Functions: enable or disable all of the alert functions. Alert for TrueTL's lines: switch on/off the alert for TrueTL's trendlines. Alert for Other TL and HL: Switch on/off the alert for other trendlines and horizontal lines which not TrueTL's. Color Filter: Switch the color filtering to the other trendlines or horizontal lines to alert. Alert Only For This Color: specify the color for the other trendlines or horizontal lines to alert just in case the "Color filter" is enabled. Alert For New TL: you can set an alert when the indicator is redrawing the trendlines, and their positions are changing. Break Alert After Close: alert at trendline breakout after the candle closed. Break Alert Before Close: alert at trendline breakout before the candle is closing. Touch Alert: alert when price approaching a trendline. Touch Distance: you can set the distance till the trendline where the alert will be triggered (adjust in indicator's value). MT4 ID: specify a short message for you to identity which indicator alerted. Email / Push / Popup / Sound Alert: you can switch alert modes. Sound File: specify a sound file that plays a sound alert. 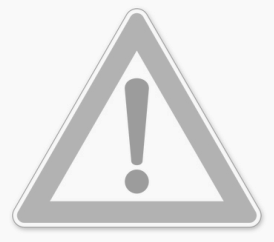 Pictogram Alert: shows a wingdings character of the alert. Pictogram Symbol: specify the wingdings character’s number. Pictogram Corner: specify corner on the chart to show the pictogram. Write Alert to File: write alert messages to file. "TrueTL Alert.csv" file placed in MQL4/Files folder. Force Color: specify a color of the Force Index line. Force Width: specify the width of the Force Index line. Force Style: specify the style of the Force Index line. Trendline Color: specify the color of the trendlines. Trendline Width: specify the width of the trendlines. Trendline Style: specify the style of the trendlines.